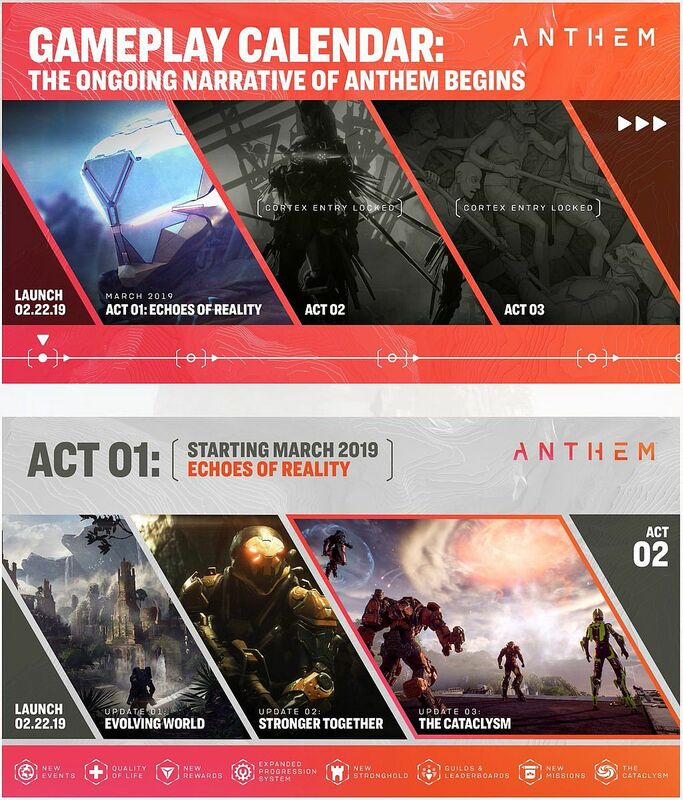 We’ve got our first look at Anthem’s post-launch content which will begin in March with Echoes of Reality. A gameplay calendar has been revealed which shows what post-launch content to expect from the game’s launch on February 22nd. The acts will add new quests, storylines, locations, fixes, and more. Echoes of Reality, for instance, adds a new Stronghold, guilds and leaderboards, and at the end of it all ‘The Cataclysm’ which is a massive weather focused event. We don’t know what Act 2 and 3 hold but will surely learn more once the first act is rolling. Anthem releases February 22 on PC, PS4, and Xbox One, though you can begin playing from February 15 if you’re on Origin Access.